France, which assumed the March Presidency of the United Nations Security Council, has reiterated its support for India as the permanent member of the powerful UN organ, saying the UNSC's enlargement is the "first crucial part" towards its reform. France, a veto-wielding permanent member of the 15-nation Security Council, last month moved a fresh proposal in the UNSC along with the US and the UK to designate Pakistan-based terror group Jaish-e-Mohammed chief Masood Azhar as a global terrorist. Reiterating its support for India, Germany and Japan as permanent members of an expanded Council, France said that enlargement of the powerful UN organ in both permanent and non-permanent categories is the "first crucial part" towards UNSC reform. "We want enlargement of the Security Council in the two categories of non-permanent and permanent categories - India, Brazil, Germany and Japan - and equitable representation of Africans and so that is the first crucial part of it," French Permanent Representative to the UN Franois Delattre told reporters here Friday. Delattre, at a joint press briefing with the German envoy to the UN Christoph Heusgen, said that the key to UN reform is openness through three different areas - the openness of the Security Council that entails expansion of the 15-nation, partnership and openness to civil society. Germany will take over the Presidency in April. "That is a strategic aim that France has and I do believe it is Germany's strategic aim as well... If we believe in the UN and the representative nature of the Security Council, we need to ensure that enlargement (of UNSC) be a success sooner rather than later," Delattre said. He stressed that the UN cannot be recognised as a centre of gravity for multilateralism throughout the world unless it can step-up partnerships and focus should also be made on openness to civil society, business world, NGOs and trade unions, which are all stakeholders that breathe life into the UN. "The reform of the Security Council through its enlargement is one of the key areas and key priorities of our diplomacy," Delattre said. The German Ambassador pointed out that the Security Council, in its present composition, does not reflect the realities of this world. "France and Germany spoke with one voice in this and we need to have reforms," Heusgen said adding that "If you don't reform the Security Council, it will lose legitimacy and therefore I think we should really work forward". France has maintained that if the crisis of recent times have confirmed the centrality of the UN, they have also reinforced the need to make the organisation more effective and more representative of the current balances in the world. India is at the forefront of efforts at the UN to push for urgent long-pending reforms of the Security Council. 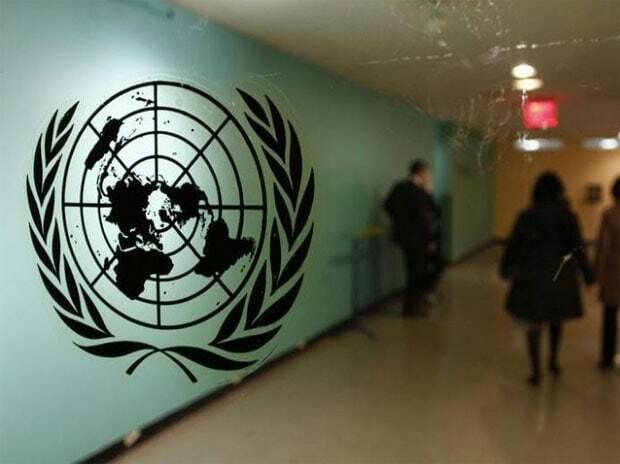 Last week, India's Permanent Representative to the UN Ambassador Syed Akbaruddin said on the issue of 'Categories of Membership', a total of 113 member states out of the 122 which submitted their positions in the Framework Document, support expansion in both of the existing categories specified in the Charter. "In short, more than 90 per cent of the written submissions in the document are in favour of expansion in both categories of membership specified in the Charter," he said during the informal meeting of the plenary on the inter-governmental negotiations on the question of equitable representation on and increase in the membership of the UNSC. Earlier, Akbaruddin had said that while reform at the UN is a process rather than an event, "there is no process known to us here that has traversed winding pathways in the manner as this process of the Reform of the Security Council". "In terms of inertia too, it has no peer. While the world is not what it was when we began the process, the objections to moving forward remain the same.